PROTEK™ surface protection film and tapes are designed to protect delicate or easily marred surfaces. Use temporary adhesive film to block dirt, scratches, tool marks, and other damages. Our surface protection films guard your items during shipping, handling and even production line processing. PROTEK™ films and tapes also resist UV rays, outdoor conditions and surface contaminants. 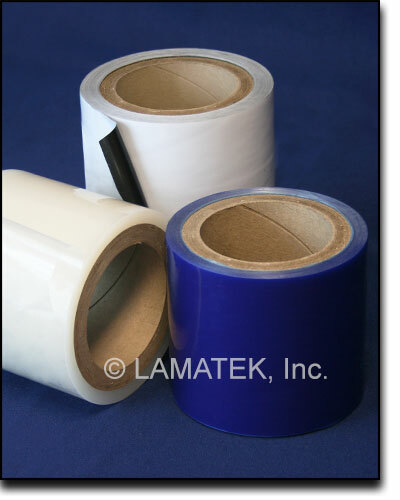 Rolls of PROTEK™ film and tape can be cut to your exact width and wound on a 3 inch core tube. Contact us for custom options. Each PROTEK™ film is recommended for a specific set of substrates. We suggest that you test the film in your application or contact us for a recommendation. You can also request a sample for testing. Please Note: Our line of PROTEK™ surface protection films should not be used on brass, copper, or copper alloys. Not sure which film works with your products? Contact us and we’ll help you choose the best tape or film.